This excerpt is from "No More Perfect Kids," the new Hearts at Home book by Jill Savage and Dr. Kathy Koch! This is the book's launch week, so read on to find out what buying it now will mean! Parenting is hard work and sometimes it seems our kids do more wrong than right. Add in household responsibilities like laundry and meals, spilled milk at the breakfast table, a child who comes in from playing outside and is covered in dirt, and sibling rivalry where the kids pick at each other all night and sometimes life just isn’t easy. Fatigue is normal and frustration is, too. Learning not to act unkindly in our frustration is a journey requiring grace for ourselves and our kids. Even in the midst of real life, it’s important to say far more encouraging words to our kids than correcting words. When we encourage kids, we give them courage. It’s empowering, freeing, and strengthening. When encouragement is the norm, children will learn they can take risks, try new things, ask for help, and make mistakes without the fear of losing the acceptance, love, and support of their parents. It’s not easy to give encouragement, especially on the hard days. There are, however, steps we can take to increase encouragement in our home. 1. Don’t expect perfection. When we expect perfection we notice every little thing that’s wrong and that creates an environment of discouragement. 2. Encourage childlike behavior. There’s a difference between childish behavior and age-appropriate childlike behavior. Discourage the first and encourage the second. 3. Value what your kids learn. We need to pay at least as much attention to what’s being learned as we do to grades being earned and performances at games and concerts. This is one way we communicate that our kids are more than what they do and how they do. 4. Resist the urge to judge all performances. One way to emphasize learning rather than performance is not always to ask about their scores or grades. 5. Ask them how they feel. When talking about one of their athletic competitions, concerts, or tests, sometimes ask first how satisfied they were with the outcome. Two-way conversations about grades, concerts, and competitions will be more profitable than one-way judgments. 6. Notice their strengths. Point out their character, attitude, and action strengths to help them when they work to make progress in weak areas. 7. Don’t worry about their challenges. Understand some areas will remain challenges for our kids no matter how hard they try. Trying to get kids to change what they can’t improve is a sure way to discourage them. 8. Celebrate what’s real. When one child deserves to be celebrated for something significant (e.g., no C’s on a report card for the first time in a year, a soccer championship, art being displayed in the county library), don’t create fake celebrations for your other kids in order to be “fair.” Use these opportunities to teach children to genuinely celebrate their siblings. 9. Introduce them to overcomers. Discuss relatives and local people your kids know who have overcome great odds. Read biographies and autobiographies of people who have been highly successful even though they also struggled. We can often learn our greatest lessons from our greatest challenges. 10. Have fun together. Play with your kids. Relationships are deepened while building forts and having tea parties with your little ones and going shopping and watching ball games with your older ones. The fun, relaxed moments you share make tough times easier to walk through and go a long way to creating an encouraging family culture. Be patient with yourself as you work to increase the encouraging environment in your family. If you choose too many things to change, you and your kids will be overwhelmed and little progress will be made. Don’t look back with shame or guilt either. Today is a perfect day to look forward with hope, choose one encouragement enhancer to start with, and walk in a positive direction! 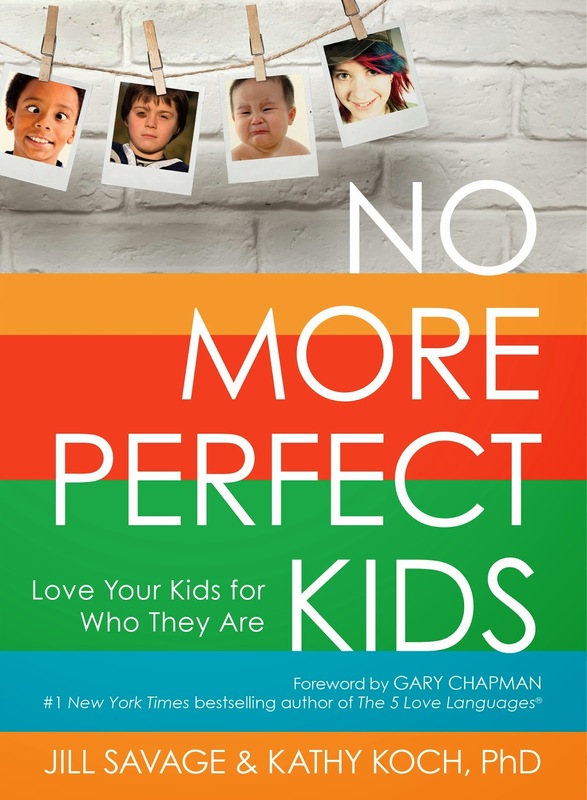 The time to buy "No More Perfect Kids" is here! You can buy it at Amazon, Barnes & Noble, Christian Book Distributors. If you purchase the book this week between today and March 23, you'll get additional FREE resources worth more than $100 from Hearts at Home and Moody Publishers. Just scan or take a picture of the receipt and email the copy to freebies@nmpk-extras.com. Within 24 hours you will receive a reply with a link and password to unlock the free resources! Specifically, the resources include the following four audio workshops, three ebooks and various printables! Sue Heimer :: "When You Feel Like Screaming"
Shaunti Feldhan :: "Getting Inside the Head of Your Kid"
Marianne Miller :: "Raising Grateful Kids"
Kathy Lipp :: "Real Ways to Connect with Your Kids"
Website :: In addition to reading the book, Jill Savage and Kathy Koch have made other resources available to you on NoMorePerfect.com. There you'll find family activities that elaborate on what's in the book, a weekly blog post that encourages that Perfection Infection to stay away, and other resources. Email challenge :: Parents, you're also invited to sign up for a 13-day email challenge. The challenge can begin whenever you sign up. Nothing like encouragement and motivation showing up right there in your inbox. Real-life stories :: In celebration of this book that speaks right to my heart, I'm going to be hosting some guests here on the blog. I realize the majority of my readers are moms, but y'all are going to hear from some dads this next week. We'll be starting with my favorite dad tomorrow and continue throughout next week. And, trust me, these men have some stories to tell. I received a free copy of "No More Perfect Moms" in exchange for being on the launch team and reviewing this book, which fits right in with what's God been teaching me. I've blogged about this book specifically here and here. This post contains Amazon affiliate links, but if you order through them the prices doesn't change for you. Thanks for supporting this blog.